I’m borrowing today’s image from Life Learned Feelings. This speaks to me. It seems as though I’ve been saying I was going to rock said-year several times in row now. 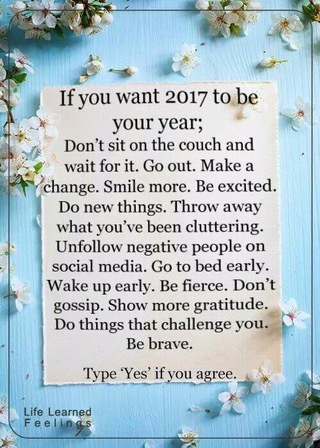 It’s time to go out, make a change, get excited, de-clutter and be brave. And do it all with gratitude & a smile.